‘Open for: Monkey Business‘, palm tree concertina folder in 3 spot colours. 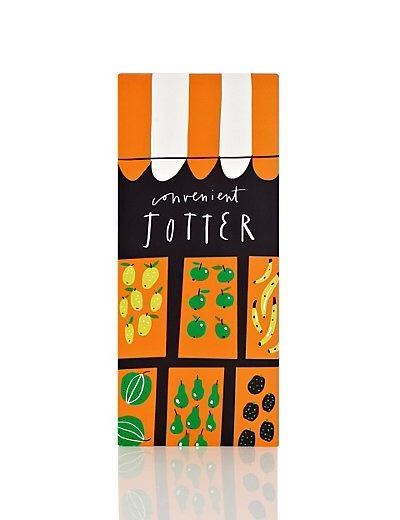 ‘Convenient Jotter‘, shopping lists jotter notepad block, 4 spot colours. ‘Epic files‘, simple folder, 3 spot colours. 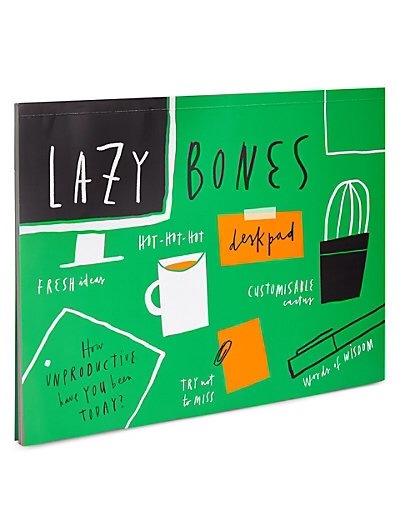 ‘Lazy Bones‘, activity desk pad, 3 colour design. ‘Whatever‘, week-view journal with illustrated internal pages to write, have fun, and make lists. ‘Note this and that‘, pencil writing notepad with clipboard, 2 colour design.